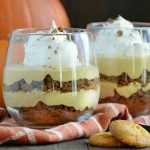 This No Bake Pumpkin Pecan Ice Cream Pie is not only a family favorite, but it’s also super easy to make and a perfect dessert for Thanksgiving. 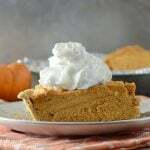 I love having pumpkin pie for Thanksgiving, and there are so many different variations out there. 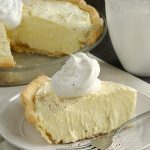 I usually make at least one pie the traditional way, but since a few family members aren’t fond of the texture, I also like to offer other dessert options so that there is something for everyone to enjoy. After all, this is one meal you want your guests to like! The ingredients are simple, and you can whip this up in no time at all. And, since it can still be warm here on Thanksgiving, it’s nice to have something cool after a hot meal. I usually make two pies at once because we have a lot of people to feed, but you can make one, two, three or more! 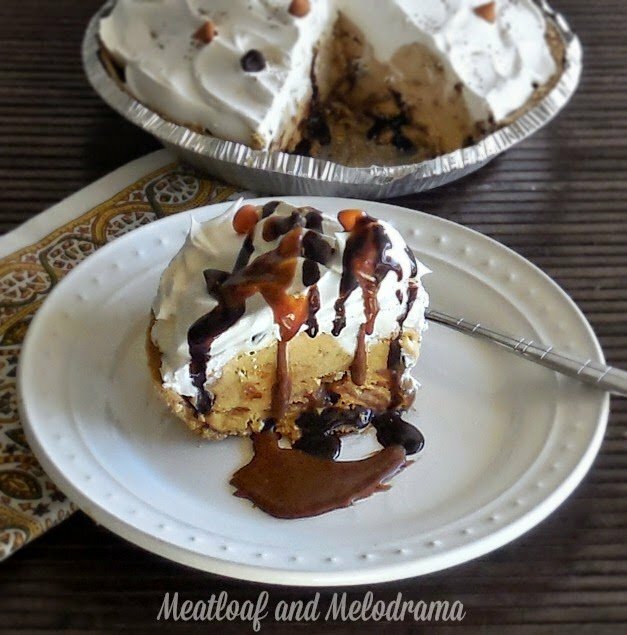 I love the combination of chocolate and pumpkin, so I start by adding a layer of chocolate syrup to the bottom of the pie crust and then chilling the crust for a bit until the syrup firms up. Then, it’s time to load the crust with the ice cream. 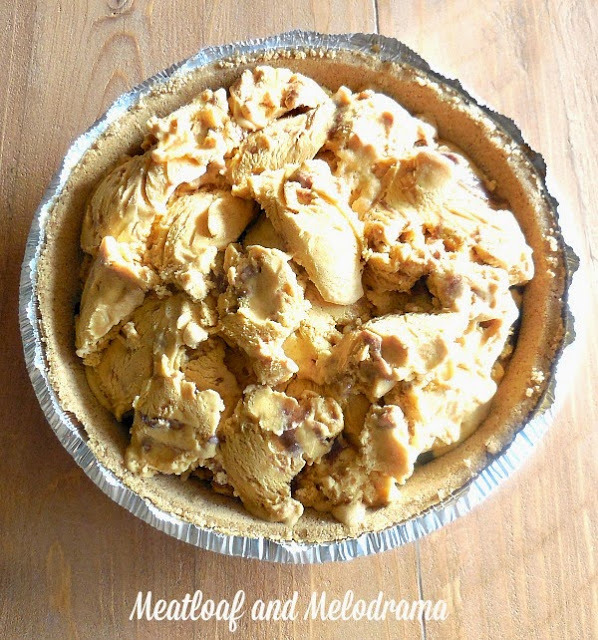 Return the pie to the freezer for an hour or so, until the ice cream is firm. Then, slather on the whipped cream, Cool Whip or whatever kind of whipped topping you prefer. 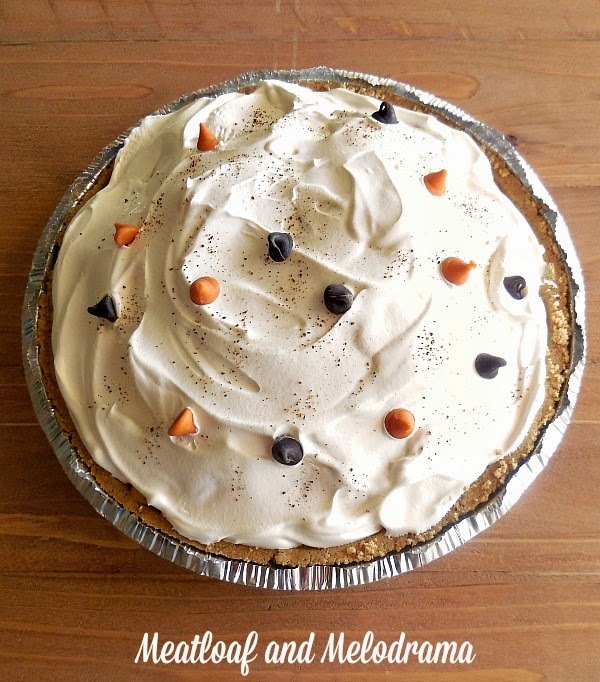 Adding some chocolate chips and pumpkin chips gives the pie a more festive look that’s perfect for Thanksgiving! 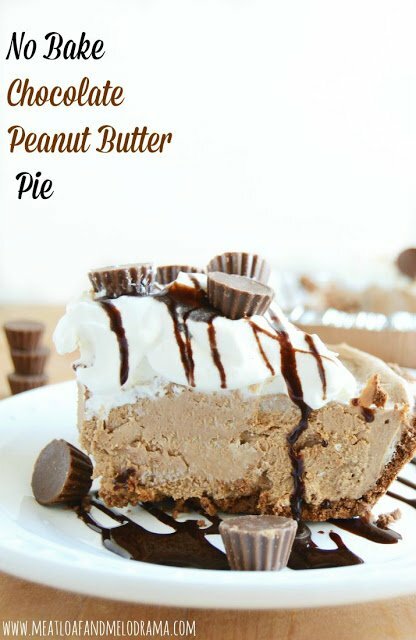 You could definitely stop there, but I love taking these pies to the next level. 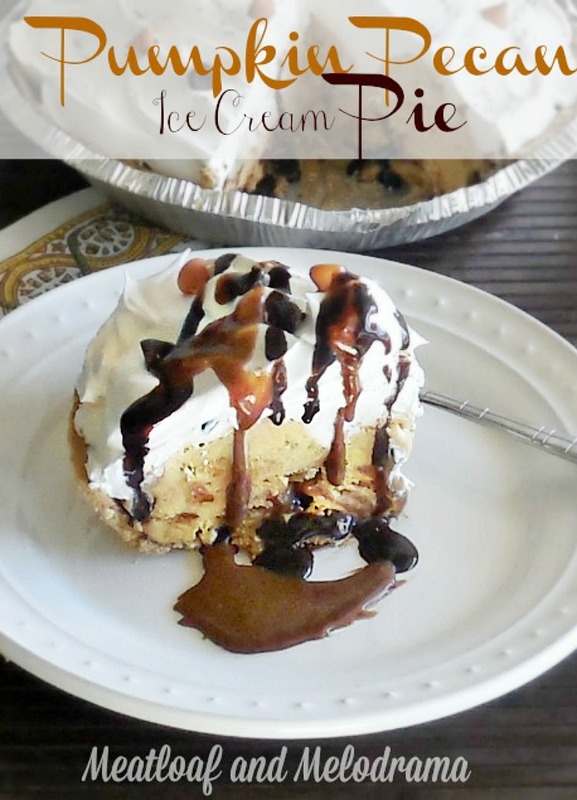 I topped this one with a mixture of chocolate syrup and salted caramel sauce, which goes really well with the pecan flavor of the ice cream. Now, here’s an easy peasy way to make a quick salted caramel sauce: Just take a few mini Milky Way caramel bars and melt them with some heavy cream. Stir until smooth, and then add a pinch of sea salt — yum! Doesn’t it look delish?! You could use any brand or flavor of pumpkin ice cream, but we happened to try the Blue Bell, and I loved the subtle pecan flavor. Thanks so much for visiting. 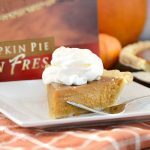 I hope you enjoy this easy pumpkin pie as much as we do! Look at it, it's so pretty & i bet delicious. Happy Wednesday! I have never tried chocolate with pumpkin before, looks yummy. Thanks for sharing! Oh my goodness, this one has me drooling! Thanks so much for sharing the recipe, Dee. This is one decadent dessert. Sounds amazing! Definitely store it in the freezer so that it doesn't melt. 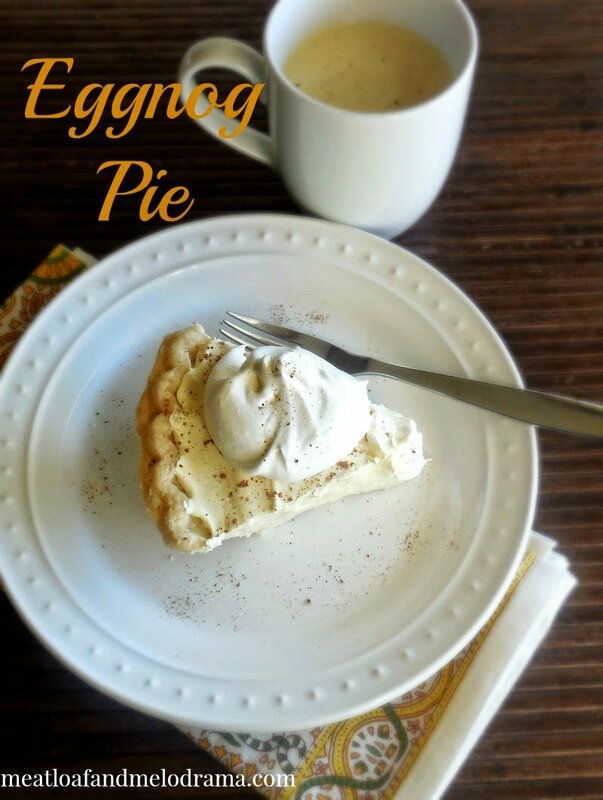 Hi Dee, this is a great pie for the holidays. It's so easy to prepare when things get hectic for the big dinner prepping. Thanks for sharing. I'm stopping by from the Ultimate Virtual Cookie & Goodie party and giveaway. 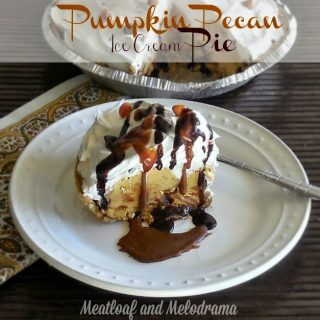 This dessert would be fantastic! Thanks so much for sharing with Full Plate Thursday and hope you stay warm and cozy on this cold day. Stopping by to let you know how much I enjoyed your post on Foodie Fridays this past week and that It will be featured this evening on Foodie Fridays. Looking forward to seeing what you link up this week! This truly looks amazing! YUM!